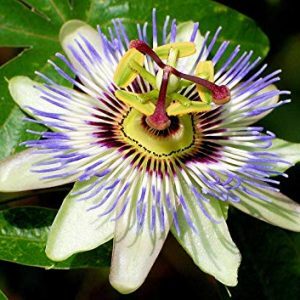 The characteristics of the plant and blossoms are very unique that they bear religious symbolism in many countries. 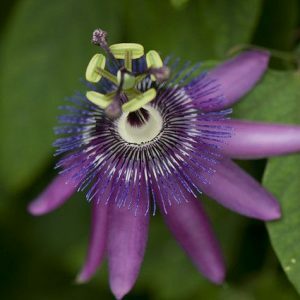 Early missionaries saw in the plant the symbol of the crucifixion, with 10 petals representing the 10 faithful apostles, the central “crown” of the flower representing the Crown of Thorns, the 5 anthers the wounds, the 3 stigmas the nails, the coiling tendrils the whips and the 5 lobed leaves the hands of Christ’s persecutors. 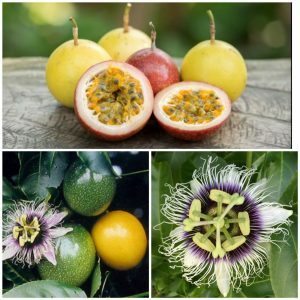 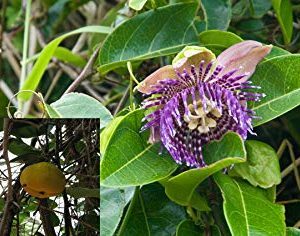 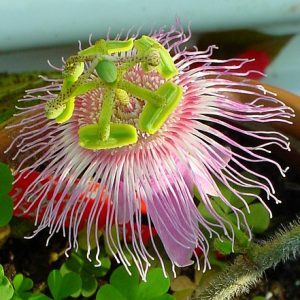 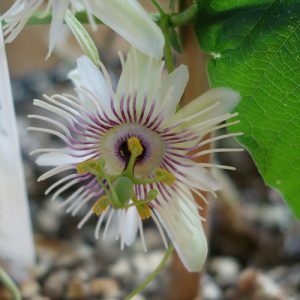 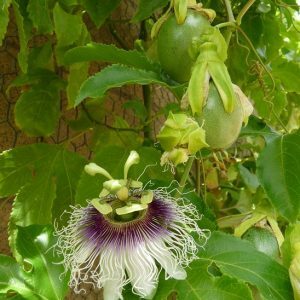 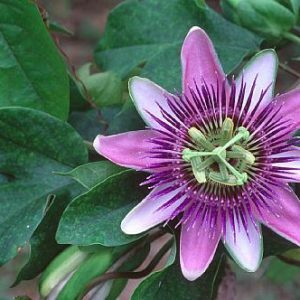 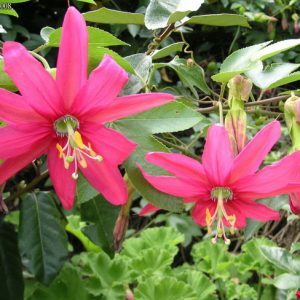 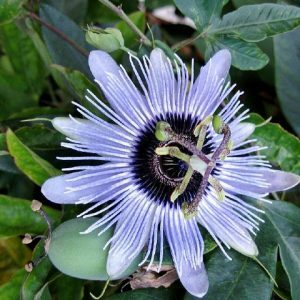 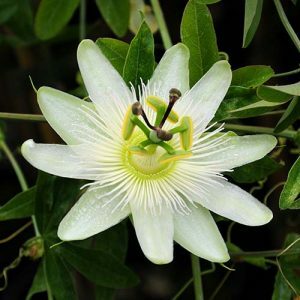 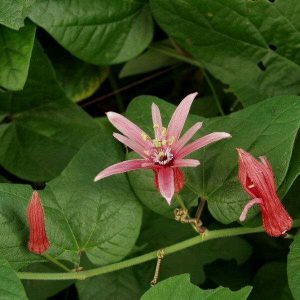 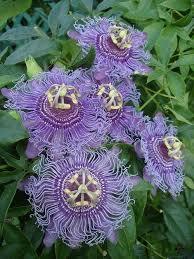 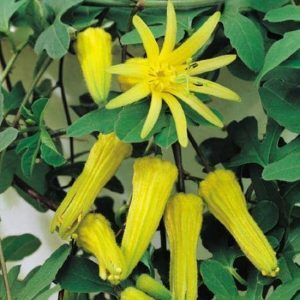 Passiflora produce one of the most exotic blooms in the plant kingdom, with a large array of colors, forms and size make these vines special and are sure to please. 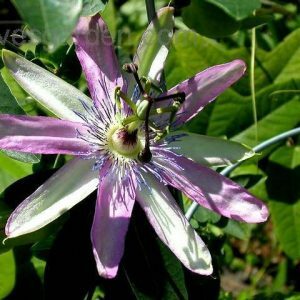 They prefer full to partial sun and prefer to climb so give them something to adhere to so the will remain upright and glorious. 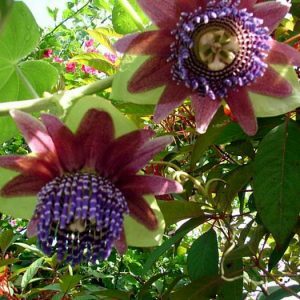 Some Varieties are seasonal bloomers while others can bloom year round.